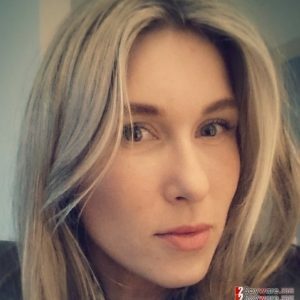 So, why should I download Emsisoft Anti-Malware? 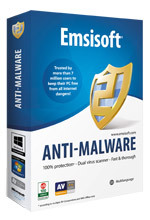 Emsisoft Anti-Malware is a decent anti-malware, which provides a comprehensive computer protection against viruses, trojans, spyware, rootkits and other malicious software. A double Emsisoft scanner ensures rather high detection rate of known viruses and zero day threats. This product also has surf protection, file guard and behavior blocker modules – everything you need to stay secure while surfing the Internet. In order to test this software, you can download Emsisoft Anti-Malware free version, which is a fully functional variant of the program that provides protection for 30 days. Besides, if you think that this program doesn't meet your needs, you can get a 30 day money back guarantee from Emsisoft. The latest version of this program is Emsisoft Anti-Malware 8.1. After 2spyware decided to test this program and remove malware with Emsisoft Anti-Malware, the team needed to download and install this program. We must say that its installation went very smoothly because software has well organized graphical user interface which makes it easy to use. In addition, we noticed the positive effect of Emsisoft Anti-Malware bonus – two scanners. Because of the integration of these scanner, the scan duration has decreased considerably. Once the Emsisoft Anti-Malware scan was finished, the File guard module compared all downloaded files with about 4 million patterns of known malicious software and blocks execution if the file appears to be malicious. Emsisoft Anti-Malware constantly monitored system and network activity and raised an alarm as soon as something suspicious happened. However, it should be said that the software has better malware detection than removal. If the program fails to remove virus, its helpful malware experts are at your disposal for free. To sum up, Emsisoft Anti-Malware can help you to ensure that your computer stays virus free. However, it may fail to remove some infections if they somehow got through protection layers. It detects more threats than some other products but still needs to improve removal rates. Emsisoft Anti-Malware is updated at least five times per day while some other anti-malware softwares update only one or two times per day. It's a decent security solution, which has received numerous awards from security experts. This entry was posted on 2014-03-24 at 05:33 and is filed under Anti-Spyware, Software.